Tonight, MacGyver season 3 episode 19 started off in a way that felt absolutely perfect for this show — with Mac going out of his way in order to help someone in need in the woods. It didn’t quite matter if he trusted the people in need of help or not … but that’s just who he is. He flies blind and sometimes, he gets himself into trouble. At first glance tonight, though, it seemed as though these people were in the category of “people who can be trusted” … mostly because they had no choice. Mac and Desi came across a group of people who were stuck in a sinkhole and if they moved too much, it could cause the entire thing to collapse around them. This meant that Mac was in a position where he had to try and help these people without no super-clear idea as to how in the world to really do so. Luckily, with Mac whenever there’s a will, there’s a way. He was able to create a makeshift crane with Desi’s help in order to make it to the bottom of the sinkhole and soon after that, he had to figure out a way to stop the bleeding of the man in danger. He learned in the midst of helping them, he learned that these people were all Syrian refugees looking to find a new home for themselves who had been taken advantage of before the sinkhole crisis even began. We’ll admit that we were surprised that Mac and Desi were able to get everyone out of the sinkhole still in one piece — yet, the injured man still found himself far from out of the woods. He had to find a makeshift way to save his life and ultimately, he did his best. We spent a good bit of time waiting to learn when the action and gunfire was going to kick off, and that happened when bad guys arrived to the hospital — the same people who gave the refugees trouble out on the road. We spent most of the episode waiting to see when Mac and Desi were going to throw stuffed animal flash-bangs at the bad guys — something that we saw in the promo for the episode. That happened close to the end of the episode, and as it turns out, their new-found friends were able to help in thwarting the enemies and saving the day. Because Mac and Desi didn’t have any way to communicate with their friends back at the Phoenix, they didn’t quite realize the danger that some of them were dealing with — namely, Bozer, who got into Oversight’s car only to realize soon after that there was a timer locked on it. He wasn’t able to reach out for Mac and Desi, but he was able to reach out to Riley — who, in turn, was able to bring in the bomb squad and a lot of other people. They just couldn’t find Mac. Another problem for Bozer was that he couldn’t open the doors or even move all that much in the car. If he does, it could trigger the explosion and lose his life. Riely eventually decided to come over to him in a hazmat suit to spend a little bit of time with him. She tried to encourage him and make him feel better about the fact that he could die without either his best friend, his girlfriend or his family present. Riley was a hero here in a rather non-traditional way. She was able to distract him for long enough that someone was able to look at the bomb underneath the SUV … but there wasn’t good news on the other side. There was no way to keep the bomb from eventually going off. So what happens when your life is on the line? We’ll admit that we thought the writers were going to have some sort of romantic moment between the two, even though Bozer has a girlfriend now in Leanna. We’re glad they didn’t go in that direction. These two have evolved and their conversations tonight proved it. Bozer said he loved her like a sister, and after trying to say goodbye, Riley wouldn’t let him quit. She decided to put her own life on the line instead so that he couldn’t quit. Eventually, Riley and Bozer had to think of a way in which to save him, and they did just that courtesy of a duplicate-SVU plan where they could trick the bomb into thinking that Wilt was sitting in a different car. Since the bomb had to go off, this was the only way in which he could potentially emerge in one piece. Did it work? In a word, yes! Bozer and Riley saved his life and there was fantastic rejoicing. Here is the cliffhanger tonight — Matty eventually showed Mac some of the residue from the bombing and nobody still knows who is responsible. There was great stuff all around on tonight’s MacGyver, and performance-wise we gotta say that this may have been the best performance from Justin Hires in the series. It showed the true evolution of Bozer as a character and really, how his entire life has changed from the bond that he’s formed with Mac. He realized more of his inner strength, and that he cares about Mac but doesn’t need him — he can survive on his own. Also, we should celebrate that Desi actually hung out with the rest of the team at the end of the episode. 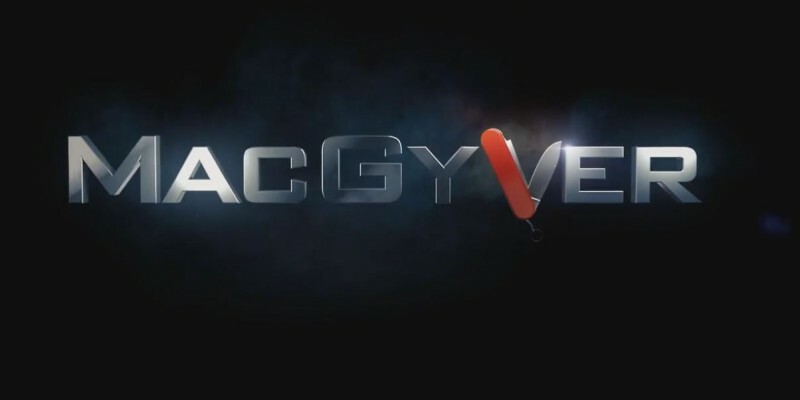 Want to know when MacGyver is returning to the air? Then be sure to head over to the link here!